Christina M. Flores focuses her litigation practice on toxic tort and complex commercial litigation. She represents clients in both state and federal court, serving as Illinois local counsel for prominent equipment manufacturers, retailers, and premises owners. Christina is licensed to practice law in both Illinois and Florida. Christina graduated from DePaul University College of Law. During law school, Christina earned second place in the Honorable William J. Bauer Intramural Moot Court Competition. She also served as Symposium Editor of the DePaul Journal of Sports Law. 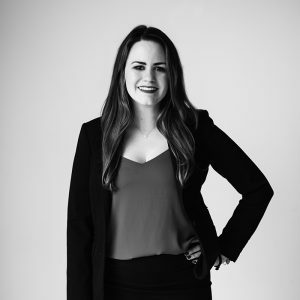 Before attending law school, Christina served as a staff member at the Greater Miami Chamber of Commerce, overseeing several industry-specific committees. Christina also served as the Marketing Manager at a global law firm. Christina is passionate about engaging in philanthropic and pro bono work. Prior to law school, she participated in Leadership Miami and joined a team of young professionals in preparing underprivileged high school students for college. She is currently involved with the Make-A-Wish Foundation. Christina has completed one marathon and four half marathons, raising money to fight leukemia and lymphoma along the way. Christina is fluent in Spanish and able to serve clients in both that language and English. She lives in Chicago.